You do the personal touch so well, I bet they don't get another card with an elephant on! Impressed at how early you have these made! 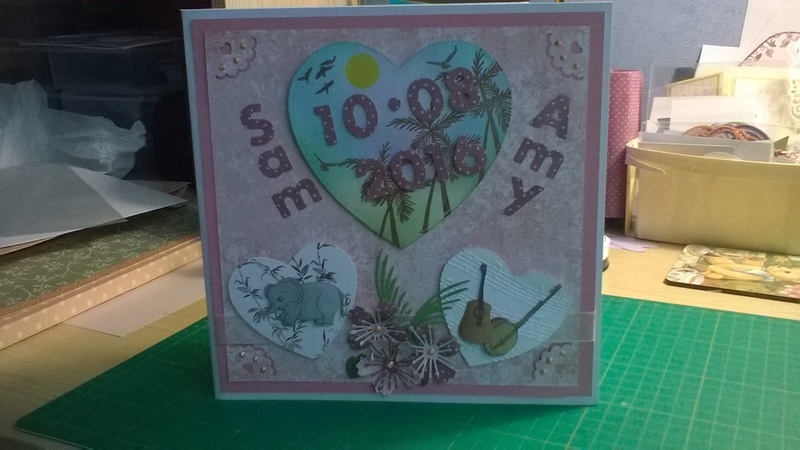 Great, lovely to make such special to them cards. Oh, well done on incorporating all that into a card, Cath! Not sure I'd be able to work out how to do it: you must be a past master at these things. Love the exotic flowers and foliage which go with the theme. 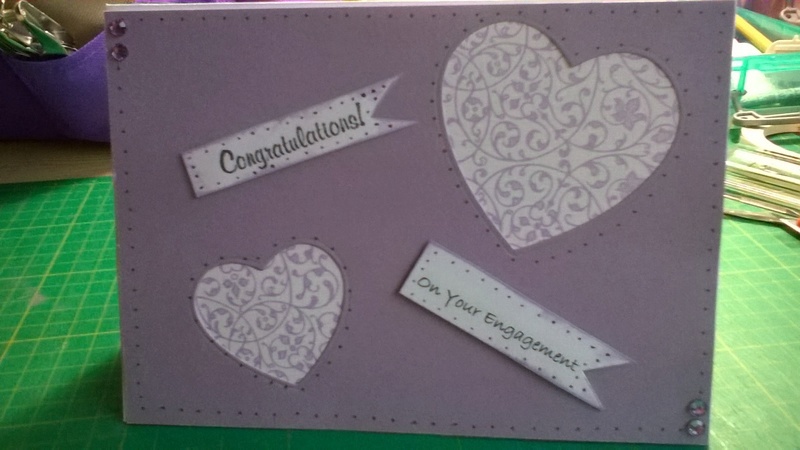 I'd started the card before we went away Karelyn & she needs it for next week as seeing the couple then as not going to the wedding.